Can you find all the differences -- and the hidden Afikomen? Look at one picture, then the other. They are almost the same -- but not quite. 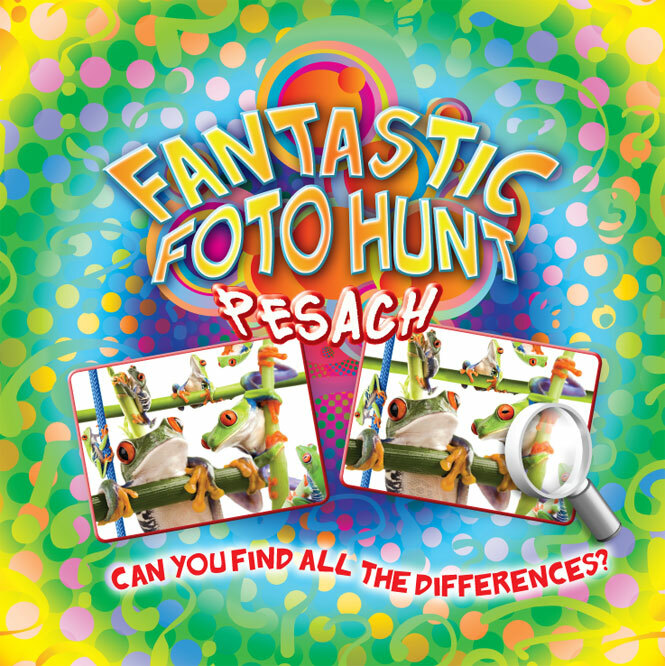 This bright and colorful photo book will keep kids of all ages busy for hours trying to spot the subtle differences. 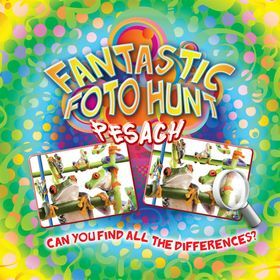 Eye-catching photos include items from the Pesach story -- vivid images of the ten plagues, including cute frogs and fearsome wild animals, and the pyramids of ancient Egypt -- and traditional Pesach observances such as crisp matzah, shiny wine goblets, beautiful seder plates, and more. A special "Find the Afikomen" feature challenges readers to spot the hidden image of the Afikomen in each photo. Includes an answer key and a fun and informative "Did you know?" section about Pesach. The second in a new series from Judaica Press! Click on the Shipping & Return Policies tab above to see the Seller's Shipping & Return Policy. If you don't see such a tab, contact the Seller regarding their policy. Rosh Hashanah Yom Kippur Survival Kit - 25th Anniv.